Actually, what is G Suite? How does Gmail work in G Suite? G Suite allows a company or organization to set users up with a company email address (user@mycompany.com); one user can also have multiple email addresses (known as aliases) for example sales@mycompany.com, support@mycompany.com and so on. From an individual users point of view there is no real difference between G Suite Gmail and the regular Gmail free email service - the screen used to read and send emails is exactly the same. 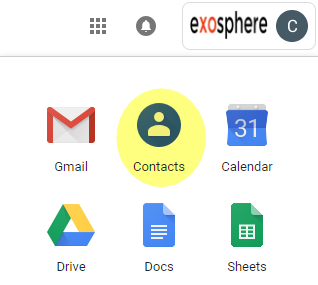 How do contacts work in G Suite? As with Gmail, G Suite Contacts work in the same way as regular Google Contacts, individual users can manage their own contacts - these contacts can only be accessed by the user themselves, they are not shared with other users in the organization. Contacts are accessed in the standard way, via Google's universal navigation. G Suite does add one extra feature to standard contacts - an organization-wide list of contacts known as the global contacts directory. The G Suite global contacts directory is available to all users in a G Suite organization (unless disabled by a domain administrator). This directory appears as a folder in your contacts. The screenshot above shows how the global directory will appear to a domain user. 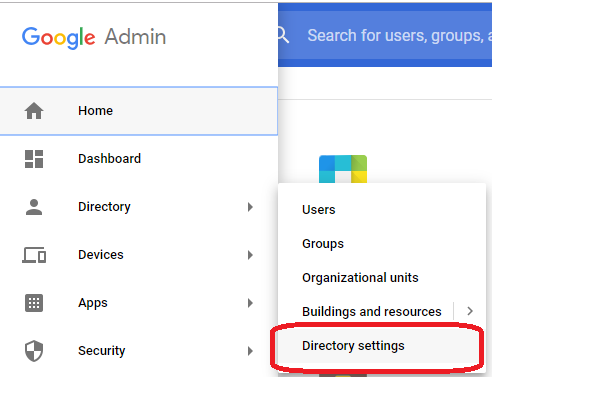 Log into your G Suite admin console and navidate to "Directory" > "Directory Settings"
Enable the option to "Show both domain profiles and domain shared contacts"
Because the G Suite global directory can be accessed by all users in an organization it is a useful place to store contacts external to the company such as leads, contacts, customers and suppliers. The "catch" with this is that there is no way to add external contacts to the global directory other than by using a programming language to interact with the G Suite API. This is where Voyzu Contacts Directory for G Suite is able to help. The voyzu web application allows domain administrators (and other company users if desired) to manage external contacts. These contacts will be available to view by all organization users. 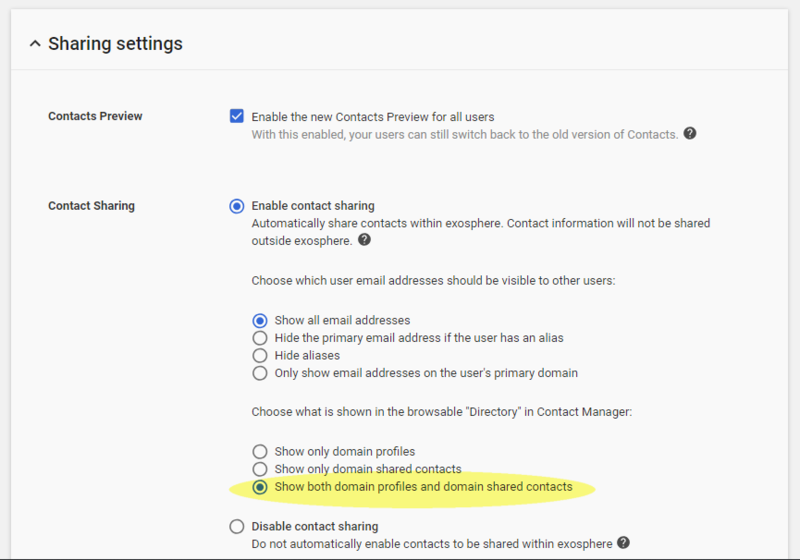 As explained above, your contacts when you are using G Suite are your own, they are not shared with any other user, including domain administrators. There is a way to add company contacts (i.e. contacts in the global directory) to your personal contacts. To do this open a directory contact and click the 'add to contacts' button on the top right of the screen. This will make a copy of the contact and add it to your contacts. You will now have two identical contacts, and its important to note that the contacts are now not linked in any way. In other words, changes to the contact you make in your personal contacts will not flow through to the directory contact, and vice-versa.